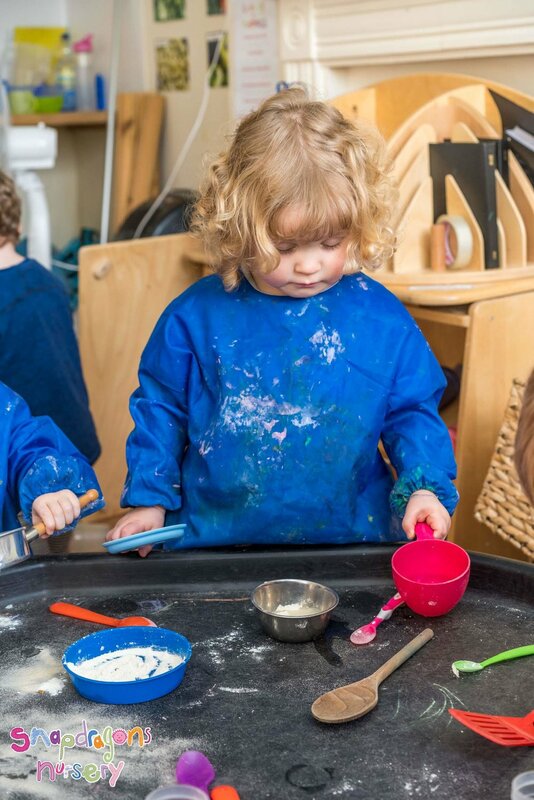 We have had so much going on around the nursery this month already, in between Pancake Day, Red Nose Day and World Book Day we have been getting stuck into activities around our theme of the month; Expressive Arts and Design, as well as our book of the month Chicken Licken! Take a look at our most recent photo albums (link below) and our Snapshot videos to see more. If you can’t see your child in the video or photos, let us know and we’ll be sure to have them featuring next month! 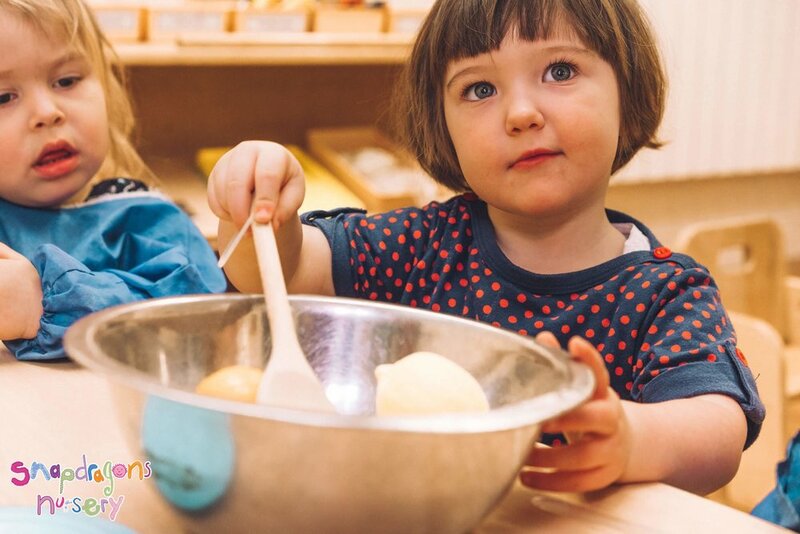 All across the nursery children and staff have been getting in the pancake spirit, role playing making pancake, creating pancakes out of playdough and weighing and measuring ingredients in tuff tray activities. Tim even visited us and made us some extra special pancakes on the fire! They were delicious! We have had so many events going on this month, all with their own fancy dress theme! World Book Day was upon us at the beginning of March, with children and staff dressing up as their favourite story characters, we had an amazing range of characters from Willy Wonka to Mary Poppins. We also took the opportunity to dress up in aid of Red Nose Day, staying comfy in our pyjamas and raising a brilliant amount of £109.40! So thank you to everyone who donated! Keep updated with all of the ‘goings on’ around the nursery on a day to day basis by following our Twitter account. Our next fancy dress event was Beep Beep Day where children and staff dressed in Red, Amber or Green clothing and learnt all about road safety! We even had a special visit from our local Police Officers, who allowed us to sit in the police car and even hear the siren! This month we say a sad goodbye to Danielle who will be leaving us on the 29th! We hope you join us in wishing her all the best in whatever the future brings. We will miss you! We have also sadly said goodbye to Terrie who left us earlier on in the month, again we wish you all the best in the future and will miss you lots! A few of our staff will be moving rooms over the next few weeks, allowing them to broaden their knowledge and experience in other age groups. Cat, who was previously based in Dragonflies (Younger Toddlers) will be moving to Grasshoppers (Pre-School) as of the week beginning Monday 25th March. Lucy, who was previously based in Butterflies (Older Toddlers) will be moving to Ladybirds (Babies) as of the week beginning Monday 1st April. If you have any questions please do not hesitate to ask Alice or Ella. Our new theme of the month throughout April will be Understanding of the World! Our new book of the month will be The Three Little Pigs. If you haven't already please can we ask parents to fill out Emergency Details for their children online. Just click the button and pop in the details, it should take less than 5 minutes. Thank you!